As you know, 2015 was a big year for music. With The Stone Roses announcing 2016 tour dates, The Libertines making a comeback with Anthems for Doomed Youth and even an official vinyl chart being released. 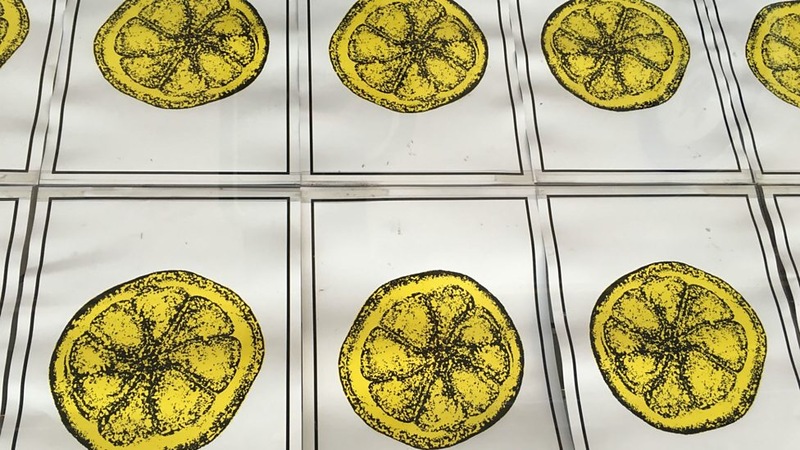 The build up to the announcement of The Stone Roses tour was massive, when stores across the Northern Quarter started filling their windows with posters of lemons. Furthermore, big stars such as Liam Fray and Tim Burgess tweeted lemons too. It was then announced, that they would be headlining festival T in the Park and also, playing 2 dates at the Manchester Etihad, with a Sunday and Wednesday date being added after tickets sold out in a sensational 10 seconds. 2015 saw The Libertines’ inspiring comeback playing at many festivals across the UK including Reading and Leeds. Pete Doherty was in fine form alongside Carl Barat performing Don’t Look Back Into The Sun, What Katie Did and their slower paced, melodic, Gunga Din. Having spent the weekend at Reading Festival, watching The Libertines was definitely my highlight of the weekend and I couldn’t have chosen a better act to end it with. 2015 has also seen the huge resurgence of vinyl. On April 13th it was announced that there would be an official vinyl chart after the sales of vinyl hit an 18 year high in 2014. Data for the first quarter of 2015 revealed that vinyl album sales had gone up a hugeeee 69% from the same period in 2014. Vinyl singles had also gone up a staggering 23%. Ratboy – Supported the 1975 on their UK tour. Has developed a large fanbase and played the Festival Republic stage at Reading & Leeds. Blossoms – Made it onto the BBC Music Sound of 2016 long list. Supported The Courteeners at Heaton Park, also played the Festival Republic stage at Reading & Leeds. They are supporting The Libertines on their Manchester date in January. The 1975 – Made a huge comeback with Love Me, the aesthetics on their tour – where Matty Healy was clearly making the most of his youth – were impressively eye catching, and they have also announced a tour for 2016 after the release of their second album next month. Justin Bieber – Has also made a massive comeback with Purpose! His new songs have caught the attention of millions, with them almost symbolising his coming of age. Love Yourself being the first number 1 of 2016 suggests that this year could be even bigger for this 21 year old, who many seemed to believe would not get back on the rails he had seemingly fallen so far from. What are we going to see in 2016? Catfish & The Bottlemen releasing a second album. Black Sabbath headlining download/a tour? Justin Bieber doing a world tour. And who knows?… An Oasis reunion at Wembley?????!!!! !